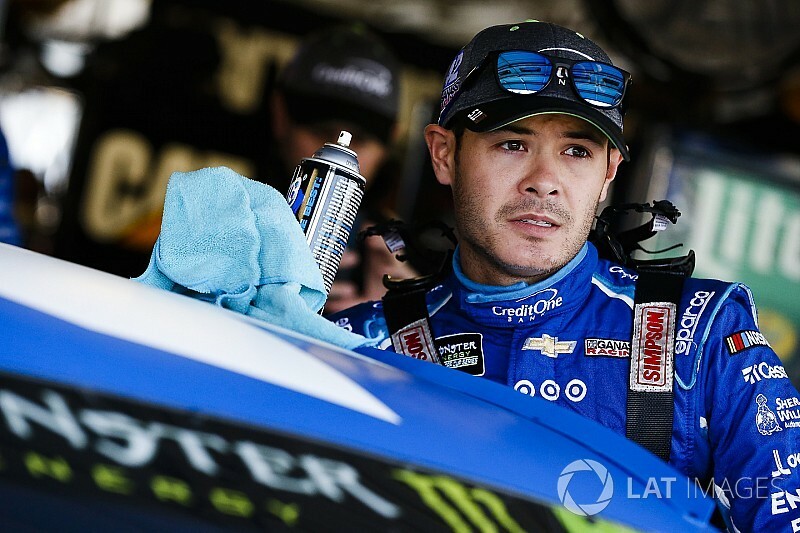 Kyle Larson led second practice at Kansas Speedway on Saturday morning. After setting the pace off of the truck on Friday, Larson continued to show speed during the second session with a lap of 181.671mph in his second round. 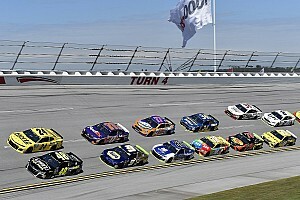 Kevin Harvick, Daniel Suarez, Paul Menard, Clint Bowyer, Ryan Blaney, Chris Buescher, Kyle Busch, Matt Kenseth and Martin Truex Jr. rounded out the top 10. 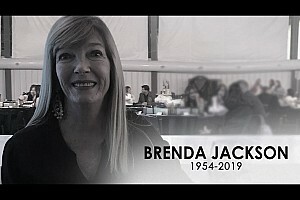 Harvick established the quick lap of 181.586mph after his first run, Daniel Suarez (181.513), Paul Menard (181.269), Clint Bowyer, Chris Buescher, Kyle Busch, Kyle Larson, Ryan Blaney, Jamie McMurray and Chase Elliott rounded out the top 10. 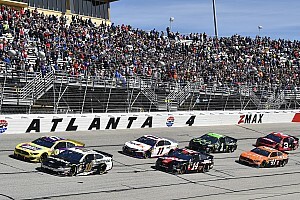 Kurt Busch, Austin Dillon, Martin Truex Jr., Dale Earnhardt Jr., Jimmie Johnson, Ricky Stenhouse Jr., Kasey Kahne, Erik Jones, Denny Hamlin and Ty Dillon completed the top 20. NASCAR released the 15-minute practice holds — Derrike Cope, Landon Cassill and AJ Allmendinger. Just before the 24-minute mark, Larson jumped to the top of the speed chart with a lap of 181.671mph. Thirty minutes in, Larson held P1 followed by Harvick, Suarez, Menard, Bowyer, Blaney, Buescher, Kyle Busch, Matt Kenseth (180.935mph) and McMurray. With 15-minutes to go, the top 10 remained the same. Truex bumped up to 11th followed by Elliott, Kurt Busch, Austin Dillon, Earnhardt, Johnson, Stenhouse, Kahne, Jones and Hamlin. Michael McDowell’s 25 laps were the most completed at that point. Harvick completed his third run with 10-minutes remaining in the session. He had the best average speed of 181.076mph after 20 laps and led the Best Consecutive Lap Average category with a speed of 180.768mph. Elliott was second (179.661mph) followed by Kyle Busch (179.316mph), McMurray (178.898mph) and Menard (178.722mph). Despite the speed Larson exhibited in the first two practice sessions, the No. 42 Chevy qualified 14th. He moved up a spot after Blaney’s time was disqualified.